Congratulations to Apple Farm Market for opening in Croton-on-Hudson and having confidence in our community. They have fresh organic produce and seafood from the U.S. and South America, specialty ethnic foods and condiments. The renovation of the long-time vacant space in the Van Wyck shopping center has been nicely done and is inviting to the customer. They have hired many local employees and it would be great to keep our shopping dollars here in our Village by supporting them. Stop by to see the store—and give them a warm welcome from our quaint little village. The Croton Village Board has totally bollixed up the ill-advised Croton Point Avenue (CPA) project. Now comes Democratic Chair Richard Masur desperately pointing fingers at others for the mess they have created. It could not possibly be the ineptitude of the Dem board that got us here. No! No! They are infallible! It’s got to be someone else! Now Mr. Masur is an intelligent guy, but his feeble attempt at shifting blame is totally transparent. What he and his fellow Dems are doing is setting us up for the inevitable eventuality that the CPA project will either be cancelled, forcing us to effectively throw away the $600K already spent, or to proceed with the project at a cost far above what the board promised us it would be. And that the Dems, who have controlled the board for more than a decade, with the exception of two short years, are totally blameless. It’s all due to the other guys. If you believe that, I’ve got a bridge I’d like to sell you. And Mr. Masur can’t even get his facts straight. He notes the “$1.7M in federal and county funds” for the project. True, there is a federal grant of $1.2M. But the $500K from the county was not designated for this project. It was awarded to the village when Croton took responsibility for CPA maintenance, to cover such maintenance in perpetuity. Realizing that the costs for CPA had been underestimated, a previous Dem board decided to use the entire amount for the current CPA debacle, a choice that, last time I checked, may not even be allowable under the terms set by the county for spending these funds. CPA currently consists of a concrete roadway, requiring relatively little maintenance. But if the board opts to ram this project through, regardless of its cost, CPA will be paved with asphalt. As has been made very clear this past winter, asphalt roads are highly susceptible to potholes and CPA will require far more maintenance in the future. But the county funds, if the Dems have their way, will have been completely dissipated, and all maintenance costs will come right out of the pockets of Croton taxpayers. Lest anyone claim that this is just another partisan attack, I would point out that I have been a registered Democrat since Mr. Masur was in middle school and continue to support Democrats at almost every level. I played a role in Pete Harckham’s successful campaign for the NY Senate last year and, back in the mists of time, ran as a Democratic candidate for the Croton Village Board. I also supported Croton Dems until, several years ago, I came to believe that the then-Dem board in Croton was corrupt, disingenuous, arrogant, and incompetent, and I concluded I could no longer back them. Their subsequent actions have yet to win back my support. So, c’mon, Mr. Masur. Take responsibility for what your folks have done. Don’t try to pass the buck. You’re not convincing anyone. After all, having moved the village elections to November, and basking in the blue waves generated by Donald Trump, there is little chance that the Dems, however inept, won’t continue to rule the board, squander our hard earned tax money, and otherwise do whatever they choose without fear of electoral retribution. Perhaps you can now spend your time trying to figure out how to shift blame for the pending fiscal fiasco at Gouveia Park to someone else. That, too, can’t conceivably be the responsibility of several Dem village boards. They are simply too all-seeing and all–knowing to do anything that departs from perfection. The following letter was published in last week’s issue of the Gazette. Give us a break, Trustee Olver. I am certainly willing to believe that the vision of “affordable private housing for Croton people” such as teachers, young graduates and seniors that you offer in your letter is what you wish will happen when the Municipal Place Gateway and North Riverside corridor are rezoned. However, your letter suggests a much greater chance of that happening, and much more control of that issue on the part of the village, than is realistic and thereby does a disservice to the community. It is unrealistic to expect that development of apartments that are new construction, with Hudson River views and enclosed, off-street parking (as was suggested in the village’s presentation) is going to do much to increase housing opportunities for entry-level workers and people on fixed incomes. Even if it did (which it does not), would a local preference imposed by an overwhelmingly white community (such as Croton) actually withstand a legal challenge that it violates the Fair Housing Act by perpetuating discriminatory housing patterns? Current jurisprudence suggests it would not. 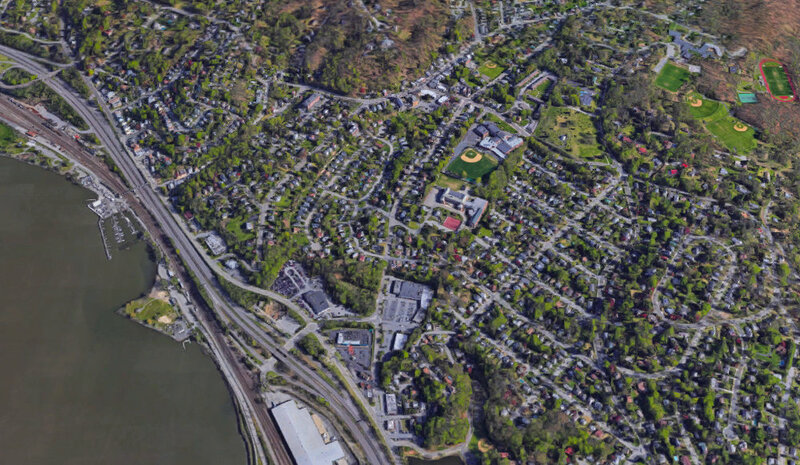 Of course, Croton’s teachers, seniors and recent grads could throw their names into the hat, along with all other eligible applicants in the required “marketing and outreach area”, hoping to snag one of the new “affordable” apartments developed here. After all, how many potential tenants can there be in the nine counties of New York and Connecticut to which all “affordable” apartments developed in Croton must be marketed, with a total population of over 10 million people? I’m sure all parents looking to reduce unnecessary snow days will be keeping their fingers crossed that Croton’s teachers will get lucky in that lottery. Even if they did, just about every full-time educator in the Croton Harmon School District earns in excess of the income eligibility ceiling for such “affordable” units. In 2018, that limit was $49,200 for a one-person household ($70,250/four-person household). Could a recent grad or a senior citizen qualify? Perhaps more easily than a local teacher, but without a local preference, or a legal designation of “senior housing” those “Croton people” who want the “affordable middle-class housing” on North Riverside will be left standing in line with thousands of other eligible applicants. If we as a community are going to be “starting a conversation” about potential redevelopment—or, more honestly, now that the public has been asked to join the conversation—let’s have a rational, honest conversation based on the facts. The following letter was published in a recent issue of the Gazette. It is my hope that it is common knowledge that the residents of Westchester County pay the highest taxes in the United States of America. A review of tax rates per thousand dollars of assessed property valuation is fascinating. For instance Scarsdale‘s tax rate per $1,000 of assessed value is $4.51 while Croton-on-Hudson’s tax rate per $1,000 of assessed value is $258.40. It is our hope that the assessed value of our home relative to others in the village is proportionately correct, but we understand that it not representative of the market value of any of our houses. The relevant question to be asked is how do property taxes paid relate to the market value of our homes relative to other towns and villages in Westchester County. When you do that analysis, of property taxes to home values in Westchester, Croton can proudly proclaim that we pay the highest taxes in Westchester county and therefore the highest taxes in the nation. I find it comforting when I read the local paper and visit the blogs that the money we pay for village government is being so well-managed. I promise not to get upset about the $40 million dollars in debt the village is approaching because it doesn’t have enough money to pay as we go. Richard Olver says (The Gazette, April 4/10) that “people are trying to scare us with fever dreams of ‘1,000-more residents’ near Brook Street.” He provides no support for this, and I have not seen any such statement. What has been raised is the prospect of the re-zoning resulting in 1,000 new residents, and the re-zoning covers an area starting at the Croton Colonial Diner and extending northward far past Brook Street. Mr. Olver refuses to tell us how many apartment units and how many residents the Board is aiming for. The Board has long spoken of large numbers of new apartments, and in fact the March 21, 2013 letter from Westchester’s former Affordable Housing Monitor to then-Mayor Leo Wiegman spoke of the need for “many hundreds of units” to be built in Croton. The former hardware store site at 25 South Riverside was recently proposed for a building with 26 units (but only 32 parking spaces). At 2 and a half persons per unit occupancy, that would be 65 residents. Even at 0.5 students per unit, it would be 13 students. And an estimate of 0.5 students per unit is probably low, given that 10 of those units were to be 2-bedroom units. The Straddles site at 425 South Riverside was recently proposed for a 42 unit development. A reasonable estimate would have a result of 105 residents including 21 students. So that was just 2 buildings and we already are at a projection of 170 residents, including 34 students. Extrapolate that to the proposed re-zoning from the diner up past the Washington Engine Co. and make your own guess. A thousand residents is starting to sound conservative. Ann Gallelli says (The Gazette, March 28/Apr. 8) that “last week Croton’s Village Board began a discussion with residents.” That is true: the public has just now been invited into the discussion. It is also true that the Board of Trustees has had multiple secret meetings closed to the public, commissioned a $75,000 consulting study, had meetings of a “North Riverside Neighborhood Zoning Working Group” ….and those are only the activity and conversations we know about. That sounds more like the newly-begun discussion with residents has been made irrelevant. Is there anybody in Croton who seriously believes that this is a beginning of a discussion? If the Board of Trustees really does want a discussion, then stop with the secret “Executive Sessions” and disclose to Croton residents the hard data necessary to evaluate the merits of the re-zoning proposal. Apart from the Board of Trustees and village employees, the only people in Croton who likely know where this re-zoning is headed are Messrs. Doyle, Brumleve, and Kauderer. And they ain’t talkin’. All of us in our work lives have done a business plan, strategic plan, or some similar project. The first thing you do is to set goals in accord with where you want to end up. No doubt the Board of Trustees has already made determinations as to how many units and the type breakdown (seniors, municipal/school employees, etc). Why won’t they tell us? Ms. Gallelli writes a lengthy letter, but nowhere does she tell us how many apartments could be built under the new zoning plan. Nor how many residents and school age children would be added. Nor how many parking spots would be needed. This is basic information which she has but refuses to disclose. The village has hired a professional consultant which is being paid $75,000 of Croton taxpayer money to do a job. And that consultant went over—lot by lot—the area to be rezoned. Included in that was analysis of floor-area-ratio (FAR) and NYS Department of Transportation setback requirements that would impact building height. Yet still, they refuse to tell us how many new apartments and how many new residents they project. This is basic math. At the risk of some simplification, look at two scenarios. The amount of square footage is a function of FAR. So if the property owner is allowed to build 300 square feet and builds a two-story building, Croton would add 150 sq. ft. of apartments and 150 of commercial space. But if due to mandatory setbacks the 300 square feet can only be built with a three-story building, then Croton would add 200 sq. ft. of apartments and 100 of commercial. Once you have an idea of the square footage, you can make some estimates as to the number of apartments, the number of residential occupants, the number of new students, and the number of parking spaces required. And the square footage data would also give an indication of the ground-floor (retail/office) impact on daytime parking requirements. This is common sense, and the type of analysis most of us have done in our working careers. I find it hard to believe that our Village Manager and Village Engineer have not demanded the consultant perform work of a sufficient level of professionalism so as to ascertain these basic impact estimates of the proposed re-zoning. I also have enough respect for Ms. Gallelli’s intellect and municipal planning experience to believe that Ms. Gallelli would insist on being provided this data. Mr. Pugh’s attitude toward his fellow Croton residents is a topic for another day. But I would suggest to Ms. Gallelli that resident speech is not a toxin that needs administration of an “antidote” either by Ms. Gallelli or any other member of the Board of Trustees. And I would suggest to Messrs. Doyle, Brumleve, and Kauderer that their neighbors are reasonable people seeking information to which they are entitled. Mr. Olver is correct on one thing: there are two new buildings in Harmon. And when those buildings were being proposed, people on Young Avenue were concerned because they said their residential street would become a parking lot. And it is also true that the Board of Trustees whispered soothing words of assurance to the residents of Young Avenue, much as Ms. Gallelli and Mr. Olver do so today with regard to the massive proposed re-zoning. Nobody is living in those two Harmon buildings yet. Not a single apartment tenant has moved in, not a single new commercial tenant. And yet…. Just last week we see that Croton Planning Board agenda item #2 is a discussion of the inadequate parking for the yet-to-be-occupied building, and one of the plans being considered is “street parking on Young (after 10 a.m.).” The concrete has literally not yet been poured to complete the sidewalk, and already there have been village meetings to address the insufficient parking. Croton needs development of empty lots. Croton needs retail business. Croton has a need for residential apartments. Croton needs to find spaces so those new residents and businesses can park. Croton also needs a Board of Trustees which speaks the truth. We should not have to wait years to find out that our leaders have fooled us once again. I am writing to express my gratitude to former Mayor Dr. Gregory Schmidt for appointing me to the Village Planning Board in July 2016 to fill the vacancy created by the departure of Mr. Rocco Mastronardi. I also wish to thank former Village Trustee Robert Anderson for his assistance with my appointment. A political outsider and self-avowed independent voter, my selection was not a campaign reward, nor was it a slam dunk. I did not know Mayor Schmidt then and, in fact, have only met him a few times over the past three years. Same with Trustee Anderson, although we have since become friends during the time he served as the Village Trustee liaison to the Planning Board. When I learned of a vacancy on the Planning Board, I expressed my interest to a mutual friend who suggested to the mayor that I be considered. A former practicing landscape architect and former practicing attorney (currently stay-at-home dad), skilled in site planning, land planning and development, civil engineering, construction and land use law seemed like a pretty good fit. Mayor Schmidt agreed and asked me to fill the open seat. My brief time on the Planning Board was one of my favorite professional accomplishments. Despite the sound of it, in my situation stay-at-home dad does not entail a lot of spare time to volunteer. The chance to serve our community and give back with my particular blend of qualifications meant sacrificing several hours of family time, but it was an opportunity to serve that I felt was important to do. I am glad to have made that choice because I enjoyed greatly getting to know the other members of the board and found that we were an excellent team. Our backgrounds in architecture, law, business, and planning worked well together. As a board, each member expressed valuable points of view. We did not always agree, but we always demonstrated respect for opinions and viewpoints other than our own individual positions. I have the utmost professional and personal respect for each of them. Many times over the past two years I have been approached by residents who have had business before the Planning Board and have been told that we worked well together and made the experience productive and helpful. There can be no better reward. Mr. Mastronardi’s full term expired in December 2018 and by Village Code I was expected to carryover the term on the board until re-appointment or replacement by the current Board of Trustees. I was notified in an email last Monday evening by Mayor Pugh that I would not be re-appointed. I served at the pleasure of the Mayor and the Board of Trustees and it was a privilege to do so. While I have not been informed of my replacement, I wish her/him the best of luck. I know the members of the Planning Board will welcome you as they did me. Last week’s front page story in this newspaper focused on the village elections that occurred this week in our nearby neighboring communities, Briarcliff Manor and Buchanan. In New York State, it is not required that village elections be conducted in November and until 2011, Croton's village elections were held in March, as Briarcliff, Buchanan, and many other villages in New York do. When the ballot initiative that changed the village Election Day was pending, village residents were told that there were two basic reasons to change: November elections would be democratizing, since more residents would likely come out to vote, and November elections would save money, since residents would be paying for only one election, and not two. At the time, village elections cost taxpayers approximately $5,000 per year. Seven November elections have happened since village Election Day changed in Croton. During that time there have been three village elections which were wholly uncontested, wherein the nominees of the controlling party simply took office with little public scrutiny or debate, winning the election for all intents and purposes at the moment the very first village voter cast their vote for village offices. As of now, there is no indication that this year will include a contested village election in November. Moreover, for more than five of the eight years (and running) since village Election Day changed, Croton’s village board has been constituted either entirely by members of one political party, or has contained a supermajority of members of one party. Given this record, the promise of a “democratizing” November election appears not to have been kept. Proponents of the change may argue that larger voter turnout in village elections is a democratizing result of the switch, and may point out that in the last election—which was uncontested—Trustee Ann Gallelli received more votes than any other candidate for village office in history. While that may be true, why would large voter turnout even matter when the only vote that counts is the first one cast? There is certainly a price to be paid for democracy, and in 2011, that price was approximately $5,000 for village elections. Proponents of changing Croton village elections from March to November touted the cost savings as a primary reason to approve the switch. Whether or not the switch actually resulted in a cost savings to taxpayers—a claim that was publicly disputed by the former chair of both the Croton and Cortlandt Democratic party as well as by Croton’s Village Manager at the time—such savings for the taxpayers have been more than wiped out by the almost 90% increase in village debt and by double-digit increases in village fees, water rates, sewer rates and parking rates that have been instituted by the controlling party since then with scant opportunity for meaningful public participation in the process. Other New York villages take the time at this time of year to discuss and consider issues that are distinctly local and specific to their communities; issues that may not have the intense emotional charge of state or national issues but which are nonetheless directly impactful on our daily lives in ways that larger issues cannot be. Other New York villages conduct elections which are focused on hometown concerns and are not dominated by national partisan politics because they do not involve questions that give rise to such considerations. Conducting village elections in March would permit Croton residents this same luxury: an opportunity to discuss and examine village issues outside of the noise and intrusion of national and state politics. A contested, local issues-oriented election seems like it would be an improvement over the situation we have now. And, at only 60 cents per village resident, it would hardly be the kind of break-the-bank expense that should require our village to remain mired in a system that virtually ensures undemocratic and unaccountable one-party control of our local government for years to come. Eternity is a concept which has confounded philosophers, theologians, and scientists. Now the answer has been found right here in Croton: Eternity lasts four years. Four years ago, an endowment of one million dollars was given to Croton. We were told this would last for eternity. In fact, it was supposed to grow over time: Brian Pugh proposed an interest rate arbitrage scheme whereby we would invest in risk-free Treasuries at five percent and issue tax-free bonds at two percent. Math is not a strong suit of our Croton Board of Trustees. After spending about a quarter-million dollars on a parking lot, we are now told that the remainder of the eternal endowment is going to be used to do more paving and expand the parking lot. That will not only exhaust the endowment, but we will have to borrow more money. We were given a million dollar endowment for the upkeep of a park, and our Board of Trustees is using it to pave over the grass. I don’t know which is worse: the magnitude of financial waste, or the idea that environmentally-sound parkland management consists of pouring a million dollars of asphalt onto a park lawn. The million dollars lasted four years. Count ‘em. Four. Going into debt is a strong suit of our Croton Board of Trustees. As our trustees embark on a massive expansion of office space for the DPW, Recreation Department, and Police, we can expect to set new records for municipal debt. Eternity ain’t what it used to be. Neither is fiscal responsibility. Editors Note: This letter was written before the Board released its cost estimate (see spreadsheet below). The $752,000 estimate will consume the remainder of the trust fund and does not include funds for renovation of the house or for upgraded water and sewerage, if that proves to be necessary. Renovation of the house will certainly be well up in six figures. Where does the board propose to get those funds? Our Village Board seems hell-bent to sweep the Recreation Department out of the Municipal Building as quickly as possible and deposit it in the wilds of Gouveia Park. The very cogent arguments against such a move have been stated in these pages and elsewhere, and need not be repeated. But what about the cost? At present, we have absolutely no idea what it will cost to make this move. In what has become standard procedure for this board, the process has been to make a commitment now and worry about the costs later. After all, it will be done with other peoples’ money. As the board was warned by Village Manager Janine King, the relocation will be more complicated and more costly than it appears. Most importantly, because the facility will have to be made compliant with the Americans With Disabilities Act. And there is a serious question regarding whether the water and sewerage facilities on the property will be adequate for the large number of people the board tells us will be using the renovated property. In addition, the operating costs will soar since the house will have to be heated and cooled twelve months a year. So I am issuing a challenge to the board. Before you make a commitment, tell us what it will cost. Tell us what it will cost to renovate the house, upstairs and down, and make it ADA compliant. Tell us what it will cost to extend the driveway and parking area. Tell us whether the water and sanitary facilities are adequate and, if not, what it will cost to upgrade them. Tell us what it will cost each year to heat, cool, and otherwise maintain the renovated facility. Tell us whatever other capital and operating costs are associated with the move. Board members publish letters in these pages every week. So instead of announcing essay contests for eighth graders, tell us what you plan to spend on our behalf. And this time, give us accurate information. Not the fake news that was included in the 2015 economic analysis prepared by Mayor Pugh, Trustee Gallelli, and their colleagues on the then-village board when they voted to accept the property. It is my understanding that the upcoming budget will include a return to the massive borrowing that was routine in past years and that the borrowing guidelines established some years ago will be violated. So we can expect that the Gouveia renovations will be funded by what’s left in the trust fund, assuming it will be adequate. The aforementioned economic analysis stated that it would require $110,000 to bring the house up to ADA standards. But every estimate made in that analysis has been off by a factor of at least three or four. So it is likely that the renovations will significantly deplete the remaining funds or even clean them out completely. When the property was accepted, we were promised that the trust fund would not be spent, but would be used to generate interest to offset the expenses of the property. According to the analysis, we should be receiving $40,000 per year at this time. What ever happened to that? Mayor Greg Schmidt established a Financial Sustainability Committee, comprised of financial professionals, to provide guidance to the board and keep village finances on an even keel. Has the FSC been consulted on whether this move makes financial sense and what its future implications will be? Has the FSC been consulted on anything by this board? I think not. Despite the fact that no one currently on the board has a financial background, and this incredibly valuable resource is readily available, the board, as always, is convinced it knows better than everyone else. So, c’mon folks. Accept my challenge. Tell us what you’re planning to spend. Remember, you work for us. The taxpayers and citizens of the Village of Croton. And as our employees, we demand that you keep us informed—with truthful data. The change of control in the state Senate has resulted in many new policies. One change we should all applaud is the new attitude regarding taxpayer-funded cars for politicians. Although given an automatic allocation of nine cars for Democrat Senators, only Ms. Stewart-Cousins (D-Yonkers) took her Ford Explorer SUV—a vehicle weighing almost 5,000 pounds and having a city mileage of 19 mpg (that assumes she has a base model; other configurations only get 16 mpg). The other eligible Democrats declined to take taxpayer-funded cars, but unfortunately the Republicans took all three cars they were allocated (Ford Taurus cars). The Senate also has five cars purchased but currently unallocated; hopefully the new attitude of the Senate Democrats will lead to a reduction in the taxpayer-provided fleet. Our Croton Board of Trustees should follow the example set by the Democrats in Albany. Taxpayers should not be paying for personal use of vehicles. The next time the Board of Trustees negotiates an employment contract for a Village Manager, the provision allowing for personal use of a village vehicle should be deleted. Taxpayers should not be paying for daily commuting expenses, particularly not in a carbon-spewing gasoline-powered car. The environmental impact may not be great, but there is a principle involved and our municipal leaders and politicians should lead by example. The village has never publicly provided a list of municipally-owned vehicles; a few years ago the estimate was that there are over a hundred vehicles in the fleet. Both for fiscal and environmental reasons, Croton should do a comprehensive review of the current fleet and requirements going forward. The example set by the new Democrat leadership in Albany with regard to taxpayer-provided vehicles is one which should be emulated by politicians and municipalities across New York State. The televised mess at the February 4 Board of Trustees meeting should prompt a review and overhaul of procurement policies in Croton. As a municipal corporation, Croton has more flexibility than other state entities. But this does not mean that the current status is acceptable, let alone protective of the public fisc. 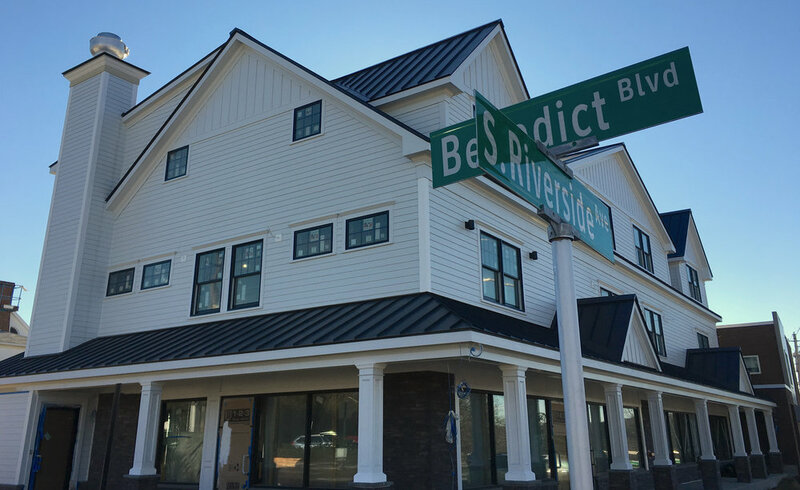 Comments by the Board, the Village Attorney, and the Bicycle-Pedestrian Committee (BPC) indicate at least a cavalier disregard if not outright ignorance of both state law and procurement best practices. In addition, the lack of transparency makes a mockery of the public deliberations since the public is deliberately kept in the dark. At minimum, the village should post the RFP in the online Board of Trustees agenda supporting documents, and should post the certified bid tabulation form (known as “certified bid tab”). The RFP shows the scope of work and weighting of the criteria, and the certified bid tab shows the scoring and computation. Properly done, the RFP and certified bid tab constitute application of the “Best Value” standard pursuant to NYS Finance Law 163(1)(j). Posting these documents shows Croton taxpayers (and non-winning vendors) that there has been a “balanced and fair method of award” as required by the NYS Comptroller. Some of us were puzzled by the remarks from the Village Attorney regarding the lack of requirement to accept the lowest bidder. “Best Value” has never meant lowest price. The RFP should have the technical/cost ratio; indeed in state agency RFPs this ratio is required to be disclosed in the RFP. Even the cost segment is not a mere ranking of lowest to highest price: normally, the low bid is divided by each bid in turn and then multiplied by the maximum allowable points (which is derived from the ratio set out in the RFP). This sounds complicated but it is actually simple and most state agencies have a spreadsheet template for this purpose. The spreadsheet gives a composite score of the technical and cost factors, and this composite score determines the bid ranking. If Croton does not have an RFP template and certified bid tab template, it should create those now. Unlike the Board and BPC, members of the public have not seen the RFP nor Superintendent Balbi’s certified bid tab. But even from listening to the public discussion, there is reason to doubt that the dummy light RFP was done in compliance with normal procurement procedure. The Feb. 4 meeting came to an awkward stop as Mr. Pugh struggled to respond to Mr. Olsson’s proposal to expand the scope of work to include the Vassallo Parking lot exit. No doubt Mr. Pugh was trying to be polite, but he should have bluntly told Mr. Olsson—on the record—that the Village of Croton-on-Hudson is not going to go against the requirements of the State Comptroller. Croton loves to do initial awards which understate the work, and then add on work later. This backwards approach is bad practice for three major reasons. First, it can result in a smaller pool of vendors and hence a higher price to taxpayers. If the village intends to have a true scope of work with a fair market value (FMV) of $150 but issues a stripped-down RFP with a FMV of $100, there may be vendors who would have bid on the $150 contract but who regard the $100 contract as too small. Second, it is impossible to do a proper technical evaluation. This is particularly true if the expanded scope of work involves skill sets beyond the issued RFP. Oftentimes that additional work is going to be subcontracted, so even if the scoring evaluator (in this instance, Superintendent Balbi) has some idea of the true scope of work it will not be possible to make an accurate technical evaluation. Third is the potential for corruption. In theory if the RFP’s FMV is $100, most bids should cluster around $100. But if one of the bidders becomes aware that the post-award scope of work is going to be expanded to $150, the bidder can bid $80 secure in the knowledge that the company will ultimately make $150. The RFP value may even exceed the FMV because once the original award is made, the awardee can inflate the additional work to a price above FMV. Particularly when your winning bidder (in this instance, SIMCO) is under criminal indictment for bribery of public officials, it would seem that the Board of Trustees would be acutely aware of procurement requirements designed in part to reduce the risk of bribery. I will leave for others to discuss why the Croton Board of Trustees has no procedure in place to detect if a prospective vendor is under criminal indictment. But Croton should institute procedures now, and also review existing contracts to ascertain if the municipality is currently doing business with vendors who are under indictment, convicted, or barred. I realize that some of this letter has been a bit technical. And most residents would not be aware of the details. But it is troubling that neither the municipal officials conducting procurement nor the Board of Trustees that approves procurement contracts seems to be following common-sense practice. Our Board of Trustees should stop trying to hide documents. It should not be necessary to FOIL for documents which are being discussed by the BPC spokesman and the Board at a public meeting, and only get those documents long after the decision has been made. The BPC should stop advocating for changing the scope of work set forth in an RFP after the winning bidder has been announced; this is unwise and possibly exposes the village to legal action by losing bidders. Croton should consider re-bidding the dummy light RFP if an investigation shows flaws in the RFP process. If Croton does make an award based on the current pool of submissions, it should do so by a means which would be held a “balanced and fair method of award” by someone adjudicating a complaint by a losing bidder. 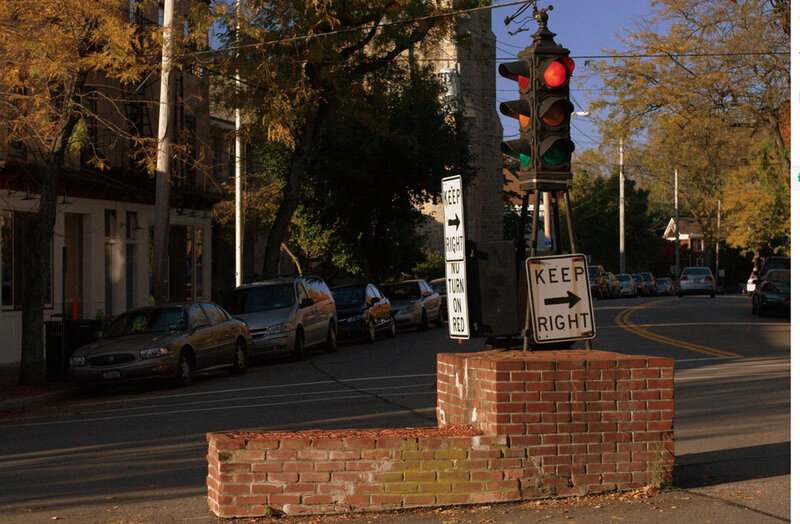 Is Croton’s Beloved Dummy Light in Jeopardy of Extinction? At the Monday meeting of the Croton Board of Trustees, just a few minutes before the Board was scheduled to approve an award to SIMCO Engineering, someone pointed out that SIMCO has been under indictment for political corruption. Given that the indictments were announced almost a year ago (April 18, 2018) it says something about Croton’s procurement process that this came as a shock to the Village Manager and Board of Trustees. It wasn’t a shock to most village residents since the SIMCO announcement was made on Friday: if you start to type “Simco Engin…” the Google auto-complete feature brings up “Simco Engineering investigation” and links to the press releases issued by the Manhattan District Attorney and also the US Dept. of Transportation. People now Google before they go on a first date or make a job offer but our Board of Trustees remains in blissful darkness. Perhaps future contract awards should be vetted by someone who is on eHarmony. A longstanding Croton tradition is to spend taxpayer money on a dubious “consultant study” which serves as a vehicle for more follow-up studies and more taxpayer money thrown away. The SIMCO contract is yet another example. Not only did nobody at the Municipal Building bother using Google, the Croton Superintendent of Public Works said the best response to the RFP was the SIMCO proposal which includes (Proposal page 4) analysis of a proposed roundabout where the dummy light now stands. Since the essence of a roundabout is to allow traffic flow without the use of lights or stop signs, by definition Croton is paying for a study that is considering elimination of the dummy light. In addition to misleading the residents about the continued existence of the dummy light, the Board of Trustees is wasting our money on the “roundabout” portion of the contract award. Roundabouts work by increasing horizontal deflection, thus reducing the number of conflict points in an intersection. But that increase in deflection (and other features) mean that any roundabout at the present dummy light intersection would necessitate tearing down nearby buildings including Robbins, Orangeberry, and the old German Deli. 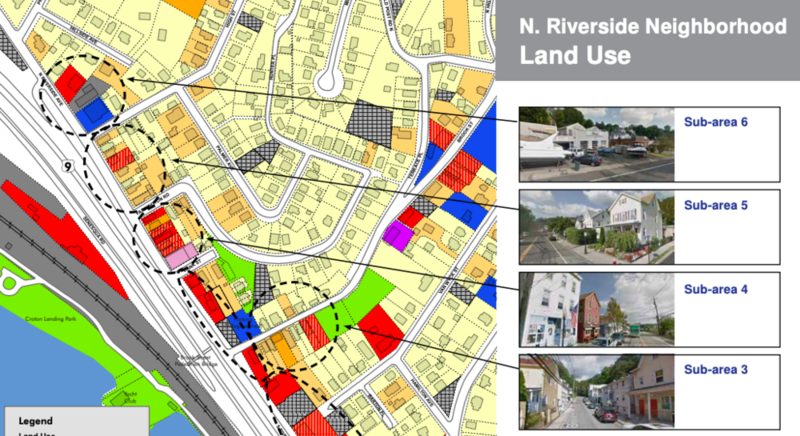 In short, a roundabout would require the destruction of the Upper Village. Since that is not going to happen, why is it in the Scope of Work that we taxpayers are paying for? At Monday’s public session, there was a discussion of “charrettes” (another expensive fad beloved by Croton politicians) and we were told that this was part of what SIMCO was going to do. That is not a completely accurate statement. SIMCO explicitly says that charrettes are “potential additional work” that would cost taxpayers more money. Since the Board intended to pay for charrettes before the initial contract award, why not just be honest with us about all the “additional work” planned? Croton’s Board of Trustees should stop hiding the true costs to taxpayers. This “camel’s nose under the tent” procurement strategy means that we don’t know how much any given consultant will actually cost. It also is an end-run around the contracting process. The Village Manager should issue an RFP for the real scope of work, not a stripped down RFP with the knowledge that there has already been a decision to expand the scope of required work. What is SIMCO going to do under the proposed contract? According to the only document which the Village has chosen to release, SIMCO will count vehicles and pedestrians at the dummy light intersection for a total of 7 hours split among a weekday and a Saturday. They will then use machines to count cars for 9 days. Why are we spending all this time studying traffic volume? The issue at the dummy light has never been one of traffic volume, it is an issue of safety. It is true that if we wanted to increase throughput car volume this would be a necessary data set, but this is not the case. SIMCO says that they will request crash data for the last 3 years from NYS Dept. of Transportation. This is certainly necessary data, and I am puzzled why the Village Manager cannot get this data from her Police Chief. Why don’t the Village Manager and the Bicycle-Pedestrian Committee (BPC) already have this data? I realize that the Village Manager is busy, but if she gives me fifty bucks I will FOIL Albany and she can knock off a few grand from the SIMCO contract. Failure to rely on data is another habit at the Municipal Building, and has been addressed by others in different contexts. Determining what data is needed and then obtaining that data is normally done at the outset of a project. There is no data whatsoever in the agenda documents section, but in a March 15, 2018 Journal-News article BPC member Robert Olsson discussed “near misses.” That is quite different from the data now being requested from Albany. The BPC should not be hiding this data. It should be up for all of us to review. The nature of the “near misses” is important. Right now we don’t have even quantitative data from BPC, let alone qualitative data which would enable us to determine what needs to be changed. At Monday’s meeting, the BPC representative mentioned car doors and mirrors being clipped. Those things have happened, but that is not because of the dummy light: it is a result of cars going too fast while making the turn onto Old Post Road South in front of Orangeberry. In the 2018 news article, the BPC focused on high school students crossing the street by the dummy light. This is a serious concern, but again it is necessary to know the specifics of what occurred in order to make intelligent decisions. The dummy light has been in Croton since 1926. Given the great danger which the light poses to pedestrians, there must be voluminous data and we should be able to detect whether the degree of danger has substantially increased in the last few years as pressure has grown to do something about the dummy light. Significant changes are being pushed, and the Board of Trustees and the BPC should be more transparent about their goals and the data which is driving their decision-making. The 2018 Journal-News article says: “Gallelli said the dummy light’s existence would most likely be one of the aspects of any evaluation.” That would seem to be borne out by the SIMCO contract proposal. At the February 4, 2019 meeting, the position of the BPC was that the light should be put back to the blinking red, with additional stop signs, pedestrian crossing signs, and police surveillance cameras installed to catch motorists. Leaving aside the issue of whether Croton would have to seek amendment of Vehicle & Traffic Law 1111 or if it could get one of the 100 cameras being sought by the County Board of Legislators, the underlying issue of putting up cameras in Croton is one which should be given a full airing. Perhaps I am the only one who just found this out, but I suspect that many people in Croton were taken by surprise. Apart from the Big Brother aspect, putting up cameras at Croton intersections could result in increased risk from people slamming on brakes. There is evidence to suggest that there may be a decrease in T-bone accidents but an increase in rear-end accidents. In this regard, Croton residents may remember that the red Prius incident at the dummy light last year was initiated by a driver who stopped when the light turned yellow. For many years, Board of Trustee discussions of the dummy light intersection were cognizant of the potential to box Croton into a corner on this issue. Now the BPC and the Board of Trustees have chosen to push a narrative that there are many near misses and endangerment of pedestrian children at the dummy light. It is entirely possible that an outside consultant sensitive to liability issues may therefore come flat out and say that the dummy light should be torn down. Even if the dummy light remains, if there is ever an accident the BPC data on the “many near misses” is going to be fertile ground for litigation discovery, and the traffic consultant report is going to be Exhibit A. If our Board of Trustees can manage to find a traffic consultant who is not under criminal indictment, perhaps next time they will be more transparent and candid about the process, and gather hard data before they make a decision which will dramatically change Croton forever. For 93 years the historic dummy light has stood at the heart of Croton-on-Hudson, a testament to that small core part of us which stands steadfast in a fast-changing world. It has taken the BPC and Croton Board of Trustees less than 2 years to put the dummy light in jeopardy of extinction. Croton government officials and politicians wanting more space is nothing new. That was part of why in 1992 the Cortlandt offices moved out of the then-shared building on Van Wyck Street. Only a few years ago, there were complaints that the building (now exclusive to Croton use) was beyond hope, and that it was necessary for Croton taxpayers to pay for a magnificent municipal palace on the grounds of the Katz property. A change of mayoral administration put a stop to that, but Croton politicians’ desire for expansion will never stop. Two years ago, Croton bought the large building out on Route 129. We were told it would accommodate DPW and also some other offices. We were told that the multi-million dollar building could be modified at low cost to reduce the large lobby atrium, and that would add even more office space. Laurel Gouveia’s supposed “gift” was anything but a gift from the perspective of Croton taxpayers. The claim was that this was to be a park. The “park” quickly became a parking lot for municipal trucks. Now the much-touted Gouveia residence that was to be the pride and joy of Croton, where we could sip afternoon tea on the patio overlooking the Hudson, will become a municipal office building and storage facility. 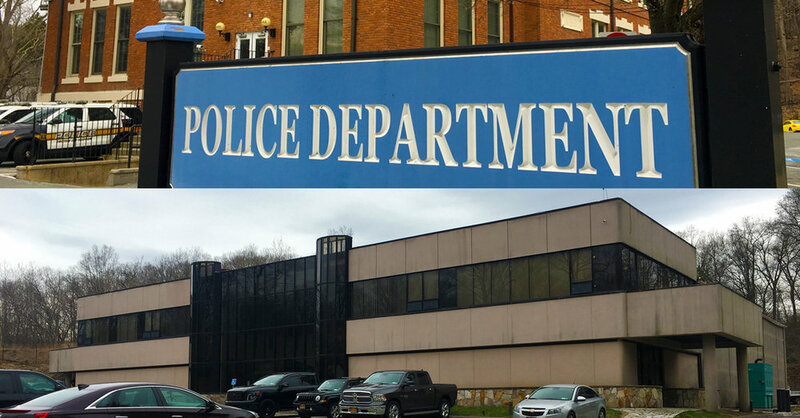 Meanwhile, the Croton Police Department is going to have a breathtaking expansion of space, taking over the first floor of the Municipal Building. The Village Manager assures us that this will keep the department content for about 2 decades, which is about how long it is going to take Croton taxpayers to pay off the bonds that will finance this series of real estate boondoggles. To sum up where we are today: the DPW just moved into a big new building, the Recreation Dept is taking over our supposed crown jewel (Gouveia Park) for vehicle storage and office space, and the Police Department will soon have spacious facilities capable of handling Bonnie & Clyde if they come thru Croton plus handle any zombie apocalypse. This is insane. Fiscal management has rarely restrained the grandiose ambitions of Croton officials, but we now see that so long as a square inch of land remains open in Croton the taxpayers are at risk. I have had dealings with the DPW, the Recreation folks, and our Croton police. They are all top-notch and neighborly. In particular, I appreciate the Croton police who were passing by one time, saw my car stuck on a snowbank, and helped push me out. Those are the kinds of things you don’t see from police officers in Yonkers or Manhattan. So I am open to listening when our department heads ask for funding to maintain their high-quality delivery of service to Croton residents. I am not opposed to the idea of renovation or even expansion of government office space. But there is a matter of reasonableness: Croton taxpayers foot the bill, and—contrary to what our village trustees and village manager seem to believe—there is a limit to what we taxpayers of Croton can afford. I can understand the environmental benefits to the DPW relocation, and also appreciate the long-term savings to taxpayers. I don’t understand why the DPW building can’t handle some additional tenants, as we were told just a few years ago when the building was purchased. The Police Chief has a valid point about the current cramped conditions under which he operates. Space constraints impact his ability to perform his job, and at times can be a public safety concern. Action to resolve this is overdue, so relocation of village court proceedings to the second floor plus renovation of the vacated courtroom for police use seems a reasonable request. If the trend in state and federal requirements is such that holding detainees on-site is becoming impractical for a small police department, then Croton should be having shared-service discussions with Cortlandt about detention and arraignment being done at a location more conducive to current and future mandates. It is unlikely that there is going to be a reversal in any such trend, particularly at the state level. Rather than spend a huge amount of money gutting and rebuilding the Municipal Building, Croton should take this as an opportunity to anticipate future needs in light of the village’s finances and shortage of undeveloped space. Gouveia Park was a soap opera of woe for years before the village even finalized the scheme. This new plan by the Croton Board of Trustees is not only fiscally foolish, it is a violation of the donor’s intent that the land be used primarily for park purposes. It is also a breach of the promise our Board of Trustees made to Croton residents when this “gift” was accepted. Our village officials should have been honest with us and not said that Croton was getting another park. A previous village Mayor, and 2 of the current sitting members of the Board, misled us as to their true plans for Gouveia. That is water under the bridge; the question before us is what use to make of the land. Any use is restricted by both the conditions of the bequest and by state law. That severely limits any plan to make Gouveia a revenue-generating opportunity. So let us start from the premise that Croton is going to use Gouveia Park as….well, as a park. We have heard about how there would be poetry readings on the Gouveia lawn and senior citizen discussion groups using the house: Alan Ginsberg meets Algonquin Roundtable. I doubt that use is in much demand, but we have the library’s Ottinger Room and also the current senior meeting space in the Municipal Building. I don’t know that many folks would trek out to Gouveia for events; something the village impliedly acknowledges by saying that it will continue to provide senior citizens space in the muni building and will have a drop box for Rec Dept communication at the muni building. So what other alternative is there? One which has been given short shrift in all the debates, discussions, and committee reports over the years: rewilding. Croton has never seriously discussed the possibility of rewilding. This environmental practice has emerged as a credible method of managing parkland such as Gouveia. Normally the maintenance or restoration of a natural ecosystem is difficult or impossible because after development, the remaining open space is too small. Rewilding can work in instances where the land in question is large, and/or where it connects to adjacent undeveloped parkland. This is because avian and mammal populations often need a critical mass of space to survive. Gouveia can be part of the corridor created by the Graff Audubon Sanctuary and Oscawana to the north, Brinton Brook Sanctuary and Jane Lytle Arboretum to the east, and even the Hudson National Golf course is helpful since it is undeveloped. Croton has spent more than a decade bickering over what is now Gouveia Park. Those who originally opposed the project keep saying “I told you so” with every new chapter in the story. Those responsible for the acquisition don’t want to give more reason to critics who foresaw the impracticality and financial drain. We need to stop pretending that the Gouveia site is something that it is not. Under an environmentally-conscious plan, Gouveia can be a thing of natural beauty. It is time we start with a clean slate. Take down that ugly giant Quonset hut and the decrepit house. Stop using the property as a storage lot for municipal vehicles. Work with the neighboring parklands. Consult with local environmentalists and arborists. Develop a long-range plan to ensure that native species survive and thrive for the benefit of future generations. Rewilding gives Croton the opportunity to do something unique and environmentally progressive. Before we turn Gouveia into a municipal back office and parking garage in clear violation of the donor’s intent, Croton should think about an alternative which preserves Gouveia Park as a park. The following letter was published in last week's issue of the Gazette. Prior to the holidays, the village board began consideration of moving the Recreation Department offices to Gouveia Park. This is a deeply flawed proposal. Its negatives far outweigh its benefits. In recommending the shift, the Recreation Advisory Committee cites “upgrading the park with possible playground equipment and improve/extend trails within the property” as reasons to move forward. Both of these objectives can be readily accomplished without having the Rec Dept. offices on site. The RAC also suggests the use of 1-2 classrooms in the house and the adjacent “hut” for Rec Dept. programs. There are also the rather unspecific claims that moving the offices will “promote the park” and “utilize the land for possible programming.” While it is not clear exactly what this means, it is equally unclear how transfer of the office will accomplish either of these objectives. On the other side, there are several cogent arguments against making the change. 1. Convenience: The location of Gouveia Park is inconvenient to the center of the village. Moving the Rec Dept. offices to Gouveia will require that everyone visiting them make a more than 3 mile round trip drive (Municipal Bldg. to Gouveia parking lot) to get a Rec pass, obtain a brochure or registration sheet, enroll in any of the Rec Dept. programs, or conduct any other business with the department. Many residents currently combine such a visit with other business in the village making the drive to Gouveia a real inconvenience in an era when time is at a premium for many families. In addition, it will become more difficult for Rec Dept. staff to interact with other village officials and employees. So, too, for those attending any Rec Dept. programs at Gouveia that are currently conducted at the Municipal Building. This will be an especial burden on seniors who will have to make the long walk from the parking lot to the house either along the drive or over the very uneven terrain of the park. And, of course, there are many seniors who no longer drive, making a trip to Gouveia all that more difficult, and perhaps, impossible. 2. Sustainability: As a member of the Sustainability Committee, I am well aware of the many actions taken and contemplated by the village to reduce our carbon footprint. However, moving the offices will have exactly the opposite effect. It will add hundreds, if not thousands, of additional automobile miles, and the greenhouse gases they generate, each year to our current situation. While, at first glance, this may not appear to be a significant argument, in light of the recent reports on climate change from the United Nations and the federal government, perhaps it is. 3. Capital Costs: The information provided with the proposal quotes the costs necessary to make the house available for “public use” at about $20,000. The bases for these estimates are not presented. Nor is it clear that the specified improvements will be adequate to create efficient offices and classrooms appropriate for Rec Dept. programs. In light of previous village board cost estimates made for Gouveia improvements (see Estimated Costs and Revenue, 1/14/2015), which proved to be totally fallacious, one must question these estimates as well. You will recall the initial estimate of $12,000 for the Driveway/Entrance/Parking Lot Improvements that somehow morphed into more than $218,000 when the work was actually contracted. And on that note, why is it necessary to spend another $4,000 on “Entrance Road Repair” when the road was installed only a couple of years ago? If the Gouveia house is to be used for village offices as well as for Rec Dept. programs, it (and the “hut” if that is also used) will have to meet the standards of the Americans With Disabilities Act. The 2015 cost estimate specified $110,000 for making the house and bathroom ADA compliant, yet these, undoubtedly underestimated, costs are absent from the current estimates. There is also a question regarding whether the current water supply and sewerage at the house will be adequate for the large number of people who will be using the facility if the offices and programs are moved. Will there be enough bathrooms for the expected usage? These issues must also be fully evaluated before moving forward. 4. Operating Costs: Use of the house for offices and programs will require that it, and the adjacent “hut,” if that is also used for programs, be heated and cooled twelve months a year, significantly increasing operating costs (and greenhouse gas emissions) with no reduction for facilities not used in the Municipal Building. There will also be added costs for maintenance, cleaning, etc., due to the increased volume of people using the facility. It would also be useful to know exactly how much we have spent and are spending on Gouveia, whether those funds are coming from the trust fund or the village treasury, and how much remains in the trust fund. Thus, moving the Rec Dept. offices and programs to Gouveia will result in little or no benefit to the community while imposing great inconvenience on village residents, especially seniors, and significantly expanding the costs to taxpayers. The Recreation Department performance in recent years has been no less than outstanding, especially with regard to seniors and children, and it would be imprudent, at best, to change its operations in any way without the certainty of well-defined, tangible benefits to the community. I fully understand that it has been an extreme challenge to this and previous boards to identify practical uses for Gouveia Park, and especially the house, in order to justify its acceptance a few years ago. An action I personally feel was an egregious error at the time; a belief that has been further demonstrated in the years since. Many promises have been made for the benefits accruing to the citizens of the village from acceptance of the property, at the time it was acquired and in subsequent years. None of these has come to fruition. The 2015 cost/revenue estimate promises, in Year 4 (2018-2019) and beyond, annual revenues of $46,500 to the village from nearly 50 events held on the property plus rental income. The trust fund was projected to throw off an additional $40,000 in interest for total annual revenue of $86,500 and a net profit of over $27,000. Has any of this been realized? I think not. During the 2017 village campaign, several of the candidates, including some who currently sit on the board, called for the reappointment of a committee to study potential uses of the property. This never happened. Much has changed and we have learned a great deal since the original committee reported in January 2015. Another look is well warranted before any major actions are taken for the park.